Without giving away too much, the story is about Jacob Springer and his investigation into who killed his mother. It is set around the murderous reign of terror committed by Jack the Ripper in Whitechapel, 1888. While writing Black City, my current novel in progress, I created Jacob Springer initially as a throwaway character, but he wasn’t too keen on that. He’s a bit of a rogue, you see. So as he became more involved in the story, I gave him a back-story, which evolved into this tale, Black Jack. Much like the side bits I discovered while writing Black Magic, it was the discovery of butchered bodies dumped in the Thames River and around town that are not (usually) attributed to Jack the Ripper. These killings started about a year or so before, occurred during, and lasted a year or two after Jack’s ripping spree took place. They made headlines, usually being blamed on Jack, but the police kept them separate while investigating because they were a different style of mutilations. It was the story of a victim who was unnamed at first, but later called “Fairy Fay”, that gave me the core of the tale. Who are some of the voices who will be in it? In addition to Emerian Rich who brings voice to three different characters, my good friends and local podcasters Jack Mangan and Dani Cutler were roped in to help. Murdo Morrison and Mat Weller who voiced MacGillivray and Black in Black Magic are back. I also worked with Lucie Le Blanc again, who provided the voice of Abby from my Masters of Macabre story a few years back. She directed me to contact the phenomenal Veronica Giguere. Rounding out the cast are Pete Lutz, Sean Young, Glenn Hibburt, and Ted Wenskus, all of whom answered the call online for voices, and each and every one has been a pleasure to work with, and I hope to work with them again. What can we expect in upcoming episodes? Fairies, demons, and serial killers, oh my. Oh yes, there will be blood and gore. Gee, I hope this is the right place for that. What do you like about this time period? Especially this time period, the one dominated by Jack the Ripper, I find it fascinating researching the life and time of these people. Whitechapel was a piss-poor place to live back then, and the Ripper was a truly frightening killer. It was a dark and horrifying time and the mystery of who Jack the Ripper really was lingers to this day. In this story, I advance my theory as to who the Ripper might have been — had they been assisted by some supernatural elements, of course. 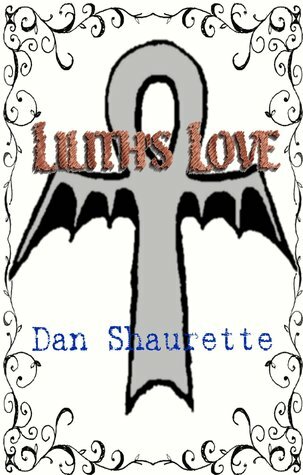 Is it related to your story Black Magic or Lilith’s Love? 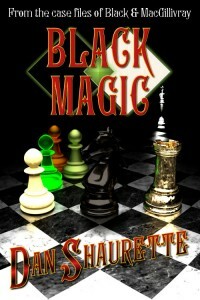 Black Jack is a direct prequel to my novel, Black City, which Black Magic was a parallel story to. In Black City, Jacob Springer teams up with Matt Black and Andrew MacGillivray to find out who is killing women during the 1893 World’s Columbian Exposition in Chicago. If my stories were compared to the Marvel Cinematic Universe, these would be two stand-alone origin stories with Black City being The Avengers. With that analogy, Lilith’s Love is like one of the Spider-man movies — it came out a long time ago and you know the stories are connected somehow. How long did it take to produce an episode? Once everyone turns in their recorded lines to me, it takes me at least a week to edit everything together with sound effects and music to make one episode… which runs less than 10 minutes. Will you eventually turn this into a book? Yes, just as I did with Black Magic, I will edit and publish Black Jack. Then I have to finish up Black City before I go insane. You know, again. After that, I have so many more stories to tell, I promise, you haven’t heard the last from the Black Books.